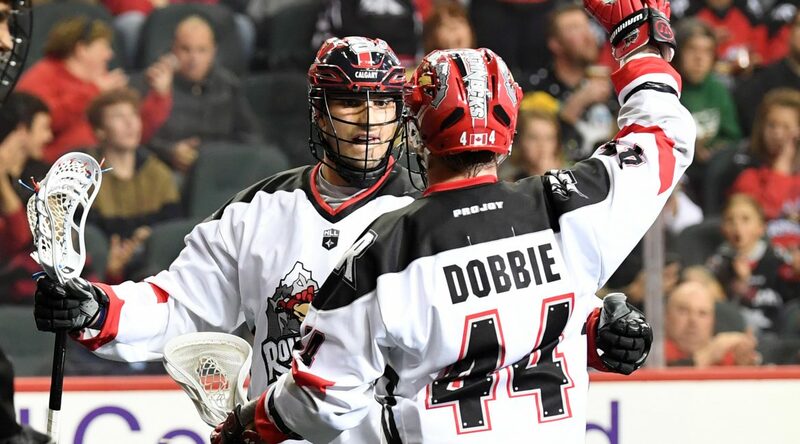 I had a natural hat-trick in the first quarter and it was the first hat-trick of my NLL career, so that was cool, too. I got fortunate on the first goal, it was just a nice bounce that went five-hole and in. On the second one, it was just good transition work and good passing. Dane Dobbie found me inside, where I tucked it in far side. On the last one, Dobbie again just set a nice seal for me, giving me a lot of room to shoot and it found a way in. It was a great game for the team and for myself, personally. I got my shot going early and gained some confidence. I would have loved to keep it going throughout the whole game, but that’s how it goes sometimes. You get all three at once or sometimes they’re spread out, but that’s just the way it is. I’m very confident right now, but it’s what I expected. I came into the season expecting myself to do a lot more, so I think I’m right on pace for what I need to do. It’s been a good start, offensively. It’s a huge win for us. Going into the Christmas break 1-1 and not 0-2 after the disappointing performance last week (against Rochester), it’s huge for us and gives us some confidence moving forward. We know that last week was just us at our worst and we showed a lot better this weekend, so hopefully we can build off of this. I think it’s great that the left side was a big part of the win. I think we needed a game where we built some chemistry and confidence together. A game where we all contribute so that everyone knows that we can rely on each other and that any given night it can be one or all of us. That’s big contributor for our offence.